Despite the severity felt by earthquakes in the short term, home prices in the Bay Area have continued to appreciate over the long term at an astonishing rate. The impact that earthquakes have had on home prices honestly depends on the period of time we focus upon. 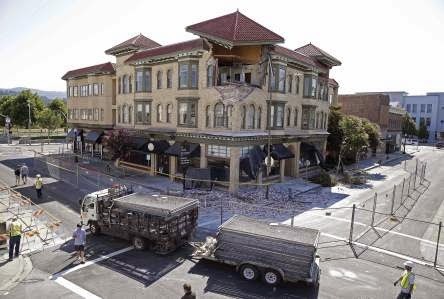 There have been six recorded earthquakes in the Bay Area with a magnitude of at least 5.0 since 1979. The National Association of Realtors reported in 1989, the same year as the Loma Prieta earthquake, that the average median home price in San Francisco was $260,600. In 2014 that figure has risen to $972,800! The greater question to pose to ourselves can be stated simply: Do we believe that these specific and erratic occurrences will derail the long list of positives that this region has to offer homeowners? Using history as a guide, I would not bet against this place. Back even before the Gold Rush, Bay Area residents have always been a determined and resilient breed with a history of rolling with the punches - or earthquakes - and bouncing back. I believe that the response to these natural events comes with a positive contribution from every person who has a stake in this unpredictable and beautiful place we call home.